It’s a freezing, rainy October weekend (thank you Hurricane Joaquin) so I’ve spent the day taking photos for the blog, making recipes for the you (prepare yourself for my attempt at food blogging) and realizing it’s been hella long since I’ve done a Writer’s Shelf feature and I’m overdue for some catch up. Now before I jump into the books for my Popsugar 2015 Book Challenge, I have a big announcement to make. After forever and a day, (roughly), I have finally sold my first book! My middle grade fairy tale adventure novel, “The Ice Maiden’s Tale” will be published by Xist Publishing in 2016! Prepare yourself for more writing features that will actually feature my own novel. Because I’m behind, I’ll be grouping books together. 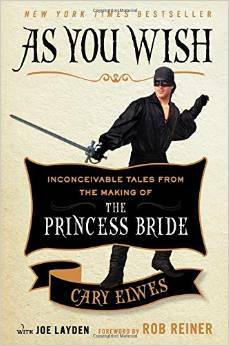 The Princess Bride is my absolute favorite movie, and coincidentally my soon to be published novel was inspired a lot by it. This book is about the making of the movie and it was fun, quick read. The highlights include that Robin Wright (Buttercup) and Cary Elwes (Westley) had a bit of a crush on each other, Cary Elwes actually was knocked unconsciously when he was hit on the head by the 6 fingered man, the swordfight scene took an epic amount of training, and Andre the Giant was the nicest, coolest dude ever. (He really deserves his own book). If the movie is one of your faves, add this to your must read list. “As you wish” – Could I really choose anything else? Apparently it took eons before someone could get the Princess Bride made into a movie and it didn’t find its audience until it was released on video after which it became a cult classic. The lesson I’ve learned from this and (my own struggle with publishing) is that eventually your story will find it’s way to the right audience. Sometimes you just have to wait it out. I don’t read many memoirs but I was moved and intrigued by Ekaterina Gordeeva’s book, “My Sergei: A Love Story” which detailed her life in skating with her late husband. It’s an oldie, but still good. A classmate of mine in grad school, Morgan Matson, gave me this book to read. I started and for some reason I put it down and didn’t pick it up again. It’s been quite a few years since then and the books in my “to read” basket quickly covered this one up. It was literally at the bottom. It’s a beautiful, lyrical story about how humans behave and treat each other in extreme circumstances, using music as a link between them. As a musician, that aspect was quite compelling and I found this book to be an inspiring read. Sometimes focusing on one sense (like sound or scent) can make compelling descriptions and are interesting ways to link emotions to the scenes unfolding. 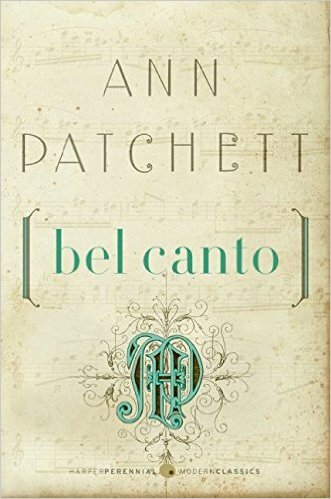 I can’t really suggest something from the bottom of your personal “to-read” list so I’ll suggest a book I loved where music played an important part. “When Venus Fell” by Deborah Smith is one of my favorite romance novels and features heroine Venus Arinelli, a concert pianist. I was born in 1979 and before I started googling, I was concerned at what I’d have to choose from. Turns out, 1979 was a great year for books and included such gems as “The Hitchhiker’s Guide to the Galaxy”, “The Dead Zone” and “The Elephant Man”. Because I am obsessed with children’s lit and fantasy adventure, I opted for “The Neverending Story”. 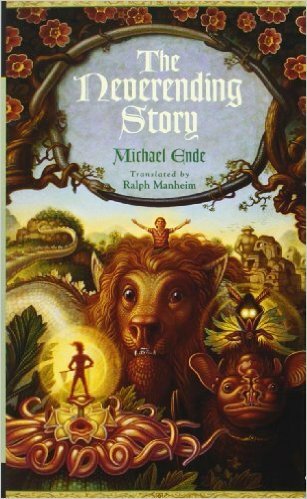 This was originally published in German and follows the adventures of the chubby, bullied Bastian as he escapes to and out of Fantasia. I’m not sure if it’s the translation or the Germanic origin, but the book felt almost as though it were written more for an adult audience than for children. That being said, I do think the world of Fantasia would be enchanting for all ages. Never try to convince Bastian of anything. But seriously, you have to be sneaky when you want to teach someone a lesson in your story. Nothing is worse than preachy prose. Sometimes I think “real” literature is wasted on me and when I don’t love award winning books I’m afraid the Lit police are going to show up at my door and confiscate my writing degrees. 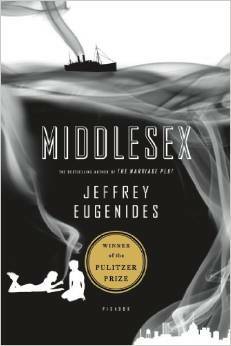 I’d been wanting to read Middlesex for a long time and considering all the current discussion about gender and the role it plays in an individual’s life, this seemed a timely choice. It had some great spots but I really wanted to hear more about our hermaphrodite narrator, Calliope/Cal and how she/he matured through adulthood rather than hundreds upon hundreds of pages about grandparents and parents and even about sperm. It took me a ridiculous amount of time to finish it and when I finally did it felt like I’d been let out of jail. I’m sorry. Please don’t take away my MFA. You can’t tell every story even tangentially related to your main story without losing something. Backstory is important but not at the cost of your main story and lead character. I’ll admit I haven’t read tons of Pulitzer winners as a lot of the stories just don’t quite appeal to me. However, “To Kill A Mockingbird” by Harper Lee is perfection. I’m actually a little afraid to read “Go Set a Watchman” because I don’t want it to mess with my feelings for Lee’s first book. I’ll be back soon with another bunch of books from my list. If you’re participating in the challenge I’d love to hear your choices for the various categories and if you’re not, I’d just love to hear your recommendations for books! Wow, you got several good reads that I want to look up and read myself!! Thanks! The Reading Challenge has really made me find some interesting books! Congratulations on the book deal! That’s so exciting. Thanks! It’s been a lot of years coming and I’m really psyched! Congratulations!! That’s awesome news and I can’t wait to hear more about the book!!! PS This is one of my absolute favorite posts that I’ve have read in a long time. I love the way you describe the books and offer suggestions and what we can take from them! Your writing is incredible!! !